Welcome to the Golf Course Community of Sun City and just in time for Spring Training baseball. 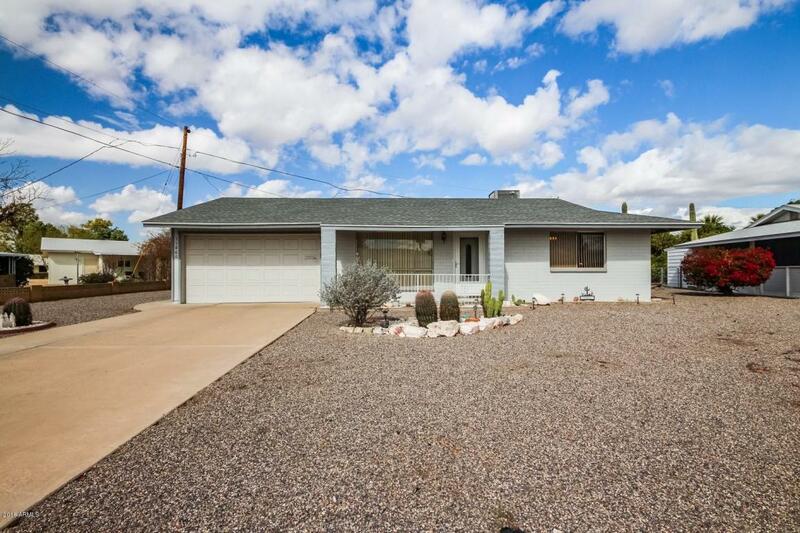 Charming single level Home with great curb appeal and move-in ready. 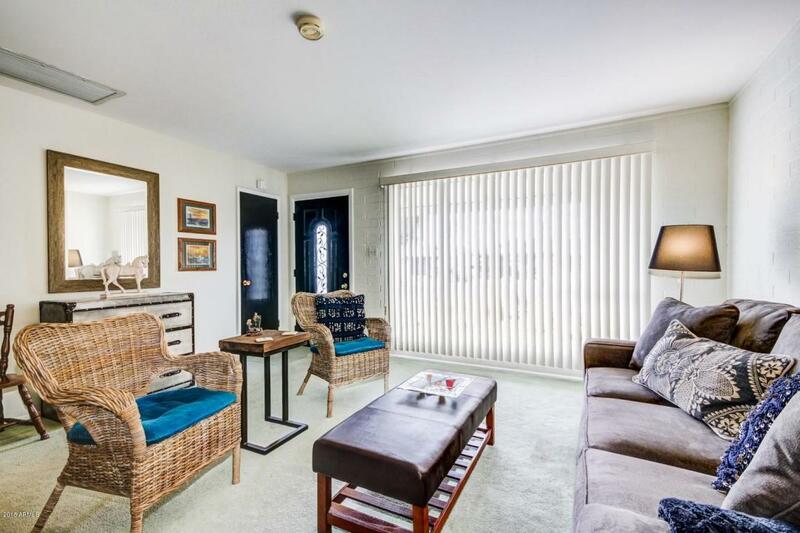 Soothing palette, window blinds, plush carpet, large picture window, and ceiling fans. Spacious kitchen features bisque appliances, stylish counters, glass tiled backsplash, and wood cabinets. Interior laundry room, ample closets, and generous size bedrooms. 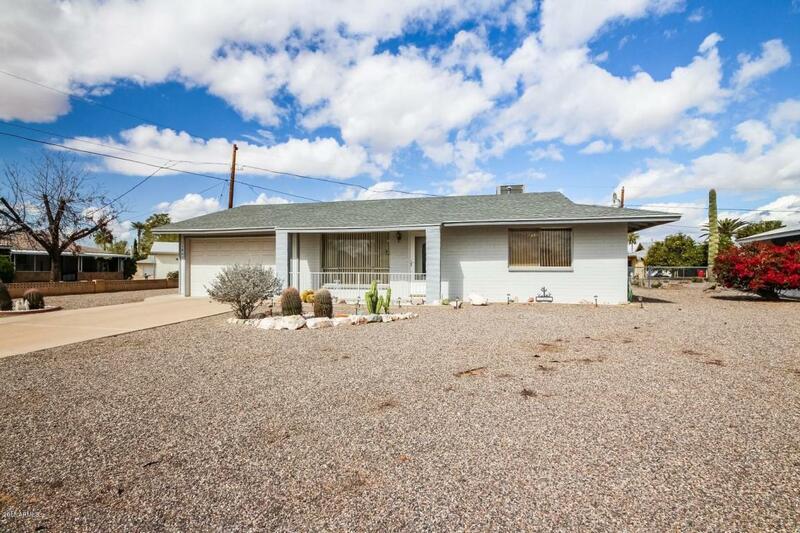 Enclosed Lanai with backyard views, mature fruit tree, and close to Sun City Golf Course, Fairview Rec Center, and Sun Bowl Amphitheater. 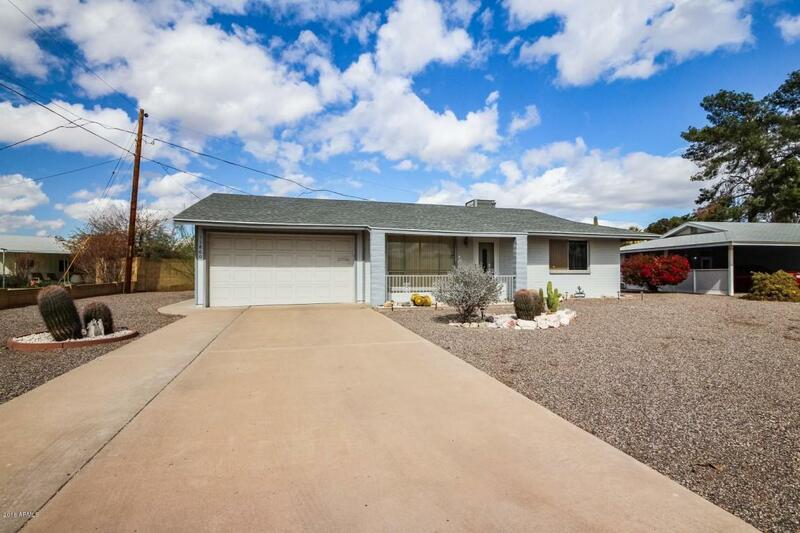 Oversized 1 1/2 car garage with workshop completes your new home. A must see on your list! Listing courtesy of Long Realty Uptown.